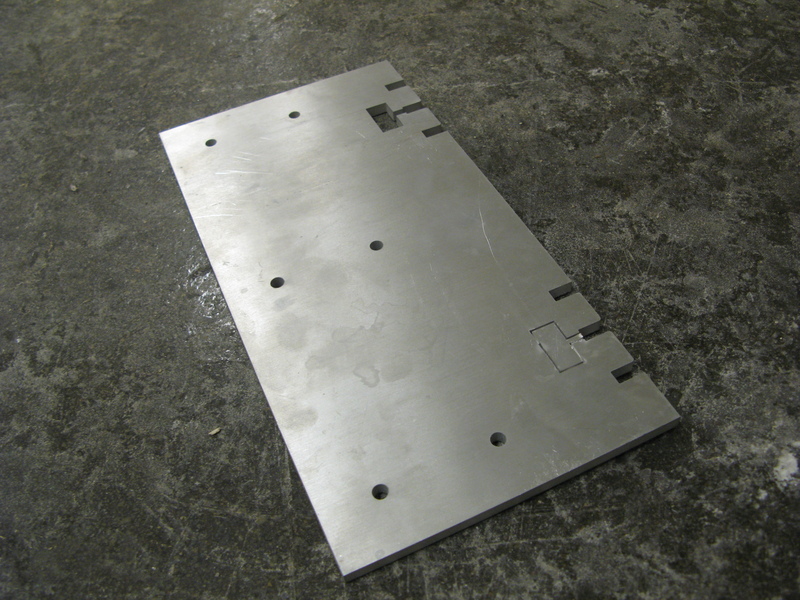 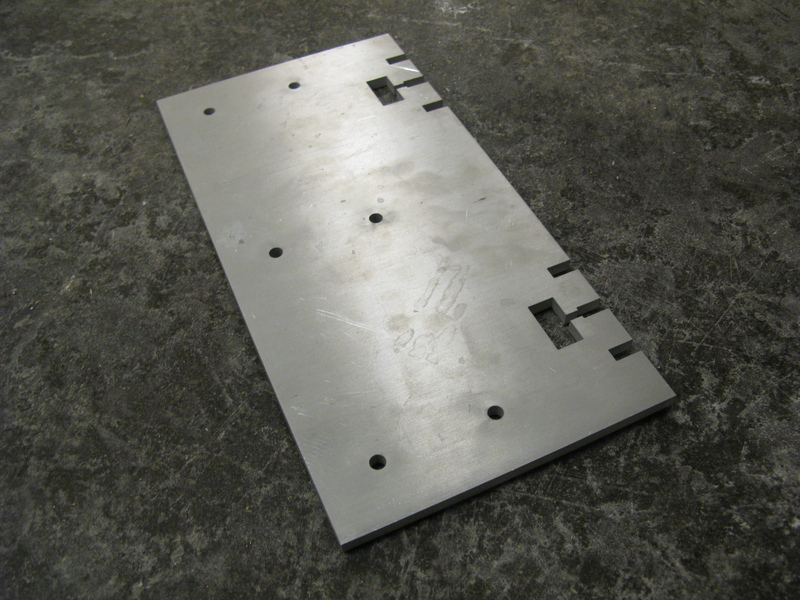 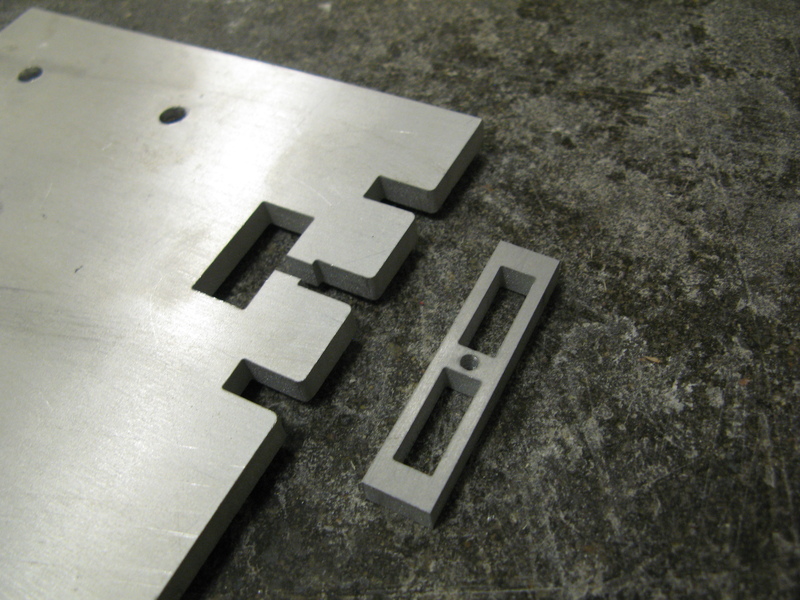 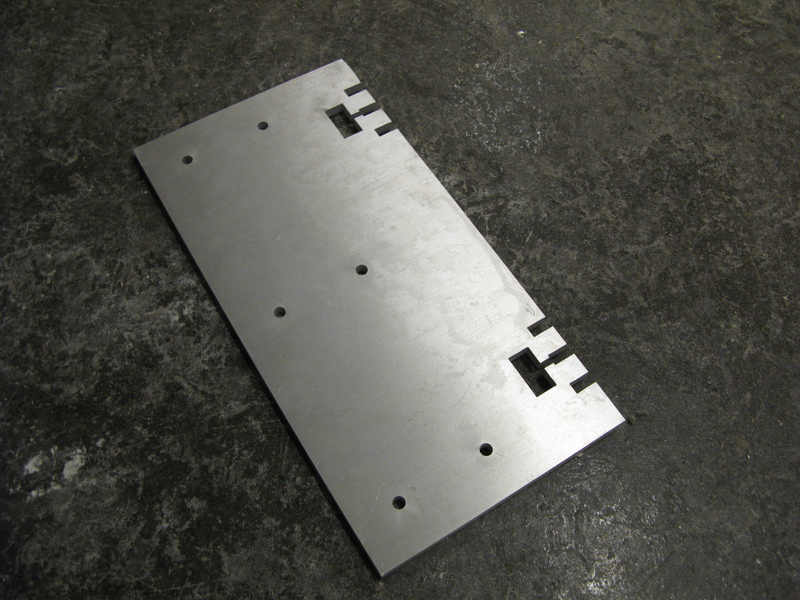 Version 01: 1/4″ aluminum cut on the waterjet using a quality of 3. 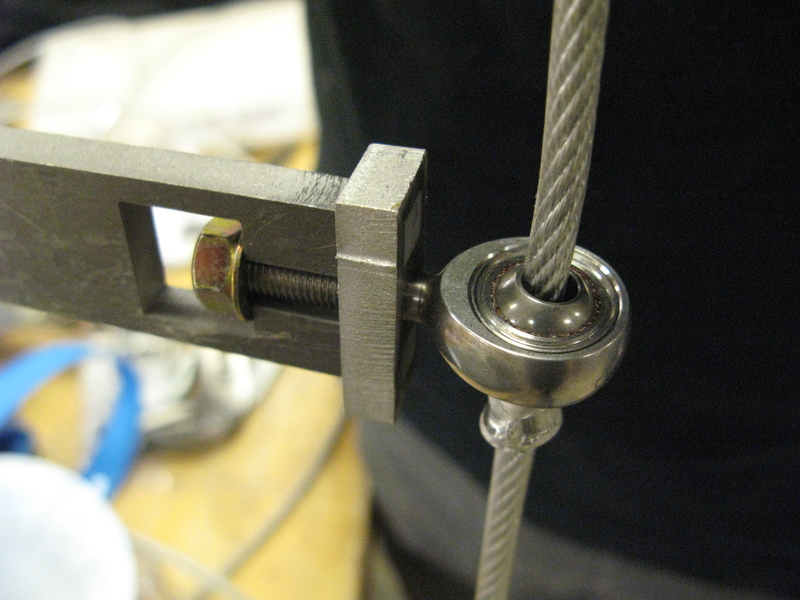 Version 02: Same overall design but with larger finger joints for increased strength. 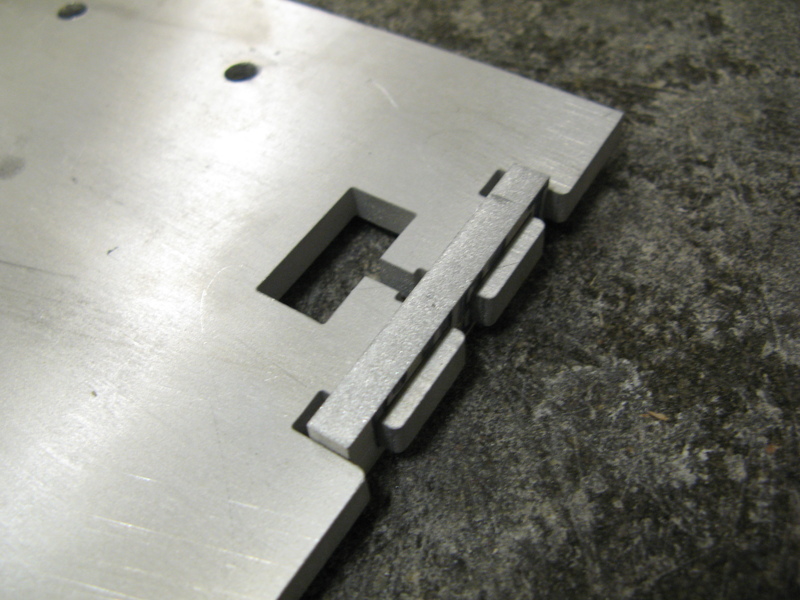 Version 03: Final design with filleted corners to ease the sliding on and off of the connector piece. 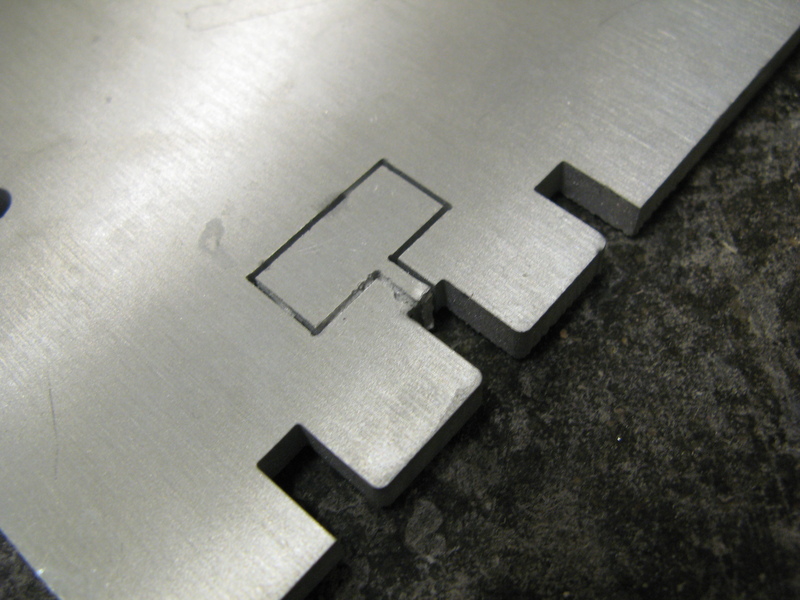 However, we let the garnet run out and a portion of the piece wasn’t cut through all the way.